YellowAirplane.com: Russian Myasischev Bison Bomber, Military Aircraft, Scale Model Jet Bombers and Books. Russian Myasischev Bison Bomber, Military Aircraft, Scale Model Jet Bombers and Books. Russian Myasischev Bison Bomber Books and Aircraft Models. This is the Soviet Union's first intercontinental jet bomber, known to the West as the Bison. The Soviet answer to the Boeing B-52, the nuclear-capable M-4 and the much-improved 3M remained in service for 40 years, and also served as the basis for the VM-T Atlant specialized cargo aircraft and for many projected derivatives including long-range airliners. 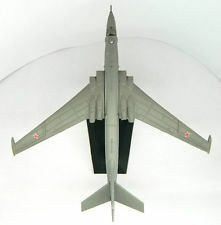 Myasischev and Tupolev also presents first generation supersonic craft, advanced designs of the 1960s, Aircraft Models, Model Kits and Aircraft Books. Buttler & Gordon. Following on the heels of the wildly popular Soviet Secret Projects: Bombers Since 1945, this fascinating volume covering post-WWII fighters from design bureaus such as Lavochkin, Mikoyan, Sukhoi, Yakovlev, Myasischev and Tupolev presents first generation supersonic craft, advanced designs of the 1960s, a number of previously unpublished designs and their relation to today's top Russian fighters, renditions of "might have been types" and much more. 192 pages, approximately 200 B&W and color photographs, line drawings, 9"x 12", hardcover.